Shhh… we won't tell! 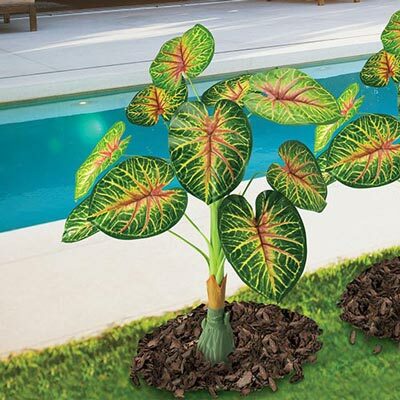 It'll be your secret how this gorgeous All-Weather Forever Tropical Plant stays so lush and green all year round. Realistic, non-fading, silk-like polyester plant can be used indoors or out. Wired branches for fullness and a lifelike look. Imported. Approx. 33"h.